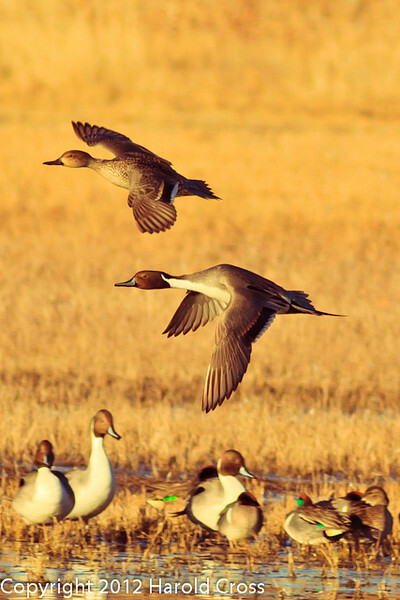 Northern Pintails taken Jan. 31, 2012 near Socorro, NM. Fabulous capture...wonderful to get so many in focus. Love the golden/brown tones.